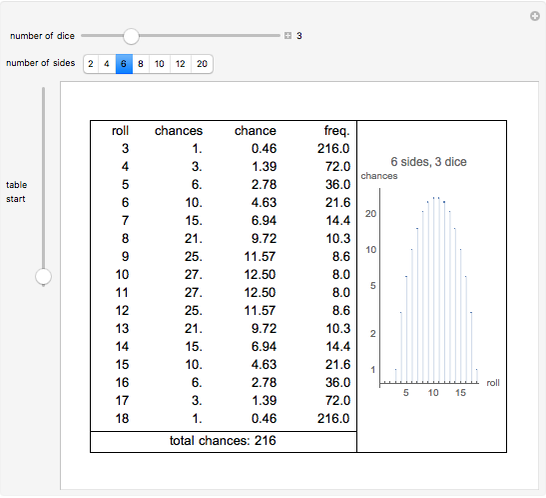 This table and graph show the chances for each outcome of a number of -sided dice. 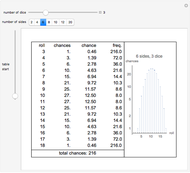 The chances column lists chances out of total chances. 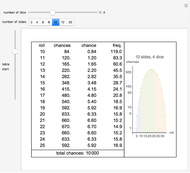 The % chance column is 100 × probability. 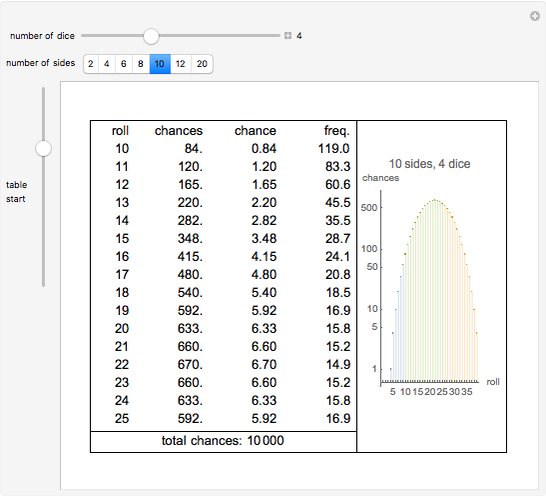 The frequency is the inverse of probability; that is, the odds are 1 in of a given outcome. 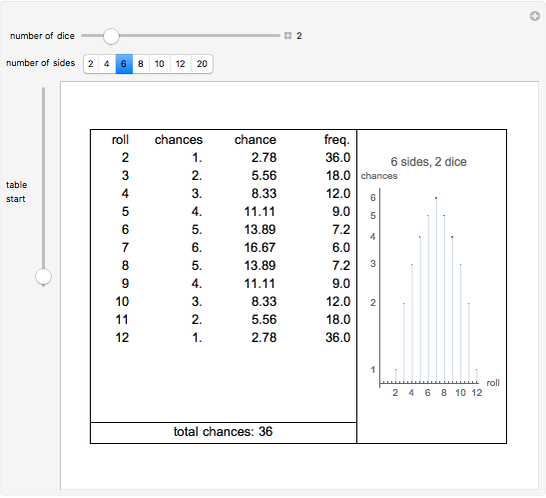 Chances are calculated by representing an -sided die as the polynomial ( ), and then multiplying the dice together. 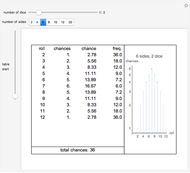 The chances can be directly read off the coefficients of the expanded result.